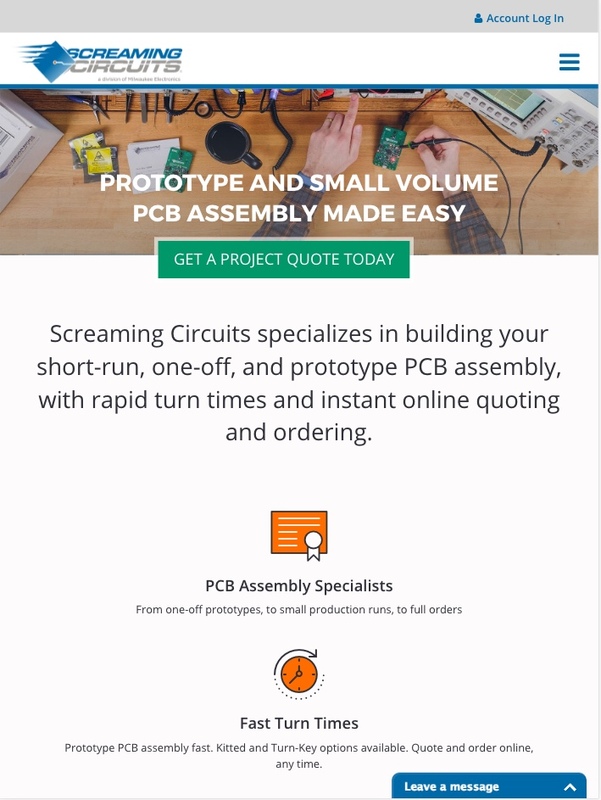 An application redesign to help this leader in prototype Printed Circuit Board (PCB) assembly regain a competitive edge with their customers. 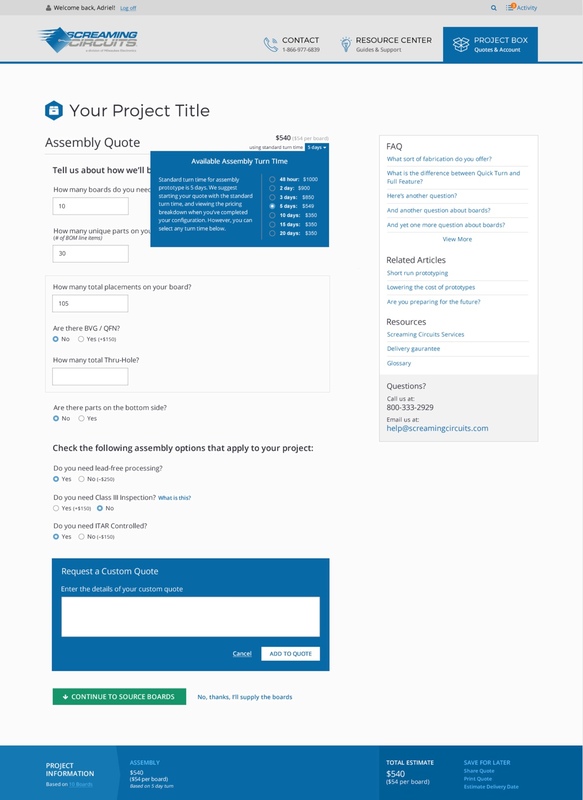 Learn how we took on the challenge of a redesigning a complex tool to be more useful and relevant. 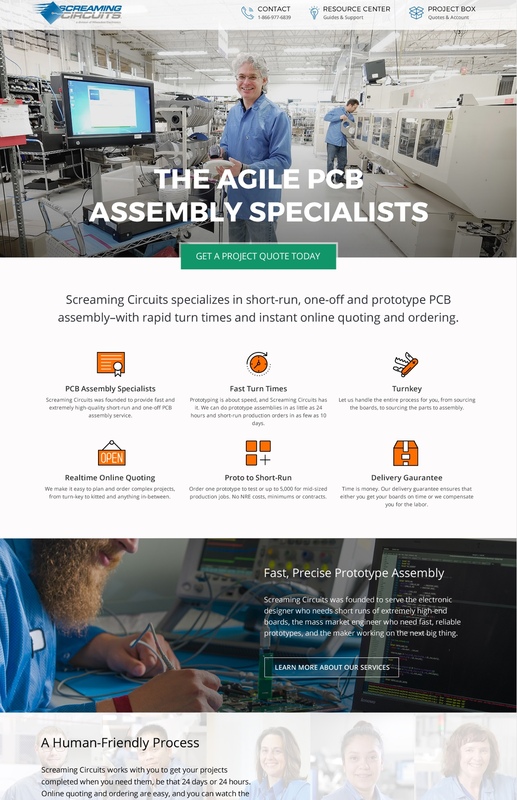 Screaming Circuits was one of the first in the printed circuit board industry to offer an online quoting system. But over ten years, this system became outdated. It was too rigid to provide useful information to customers, slowed down their team, and wasn't optimized for mobile. 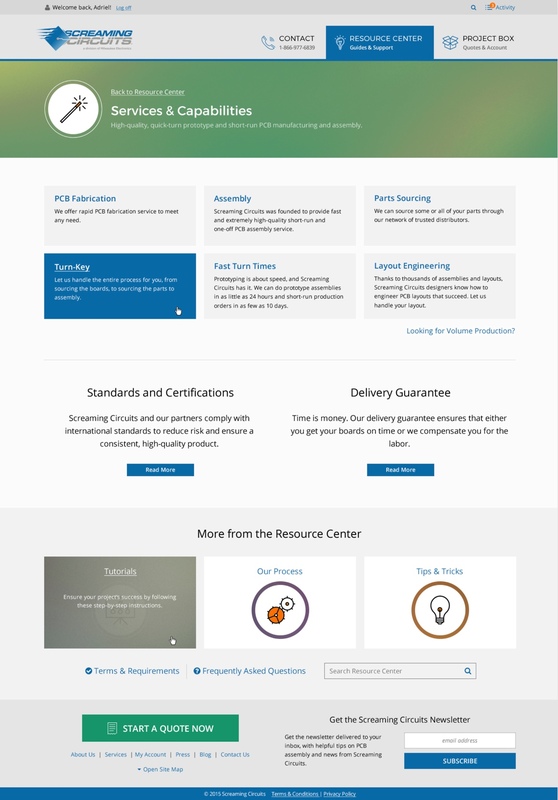 The Screaming Circuits team needed a database structure that integrated with their customer service engine. This would create a more robust application for customers. The biggest task for the project was to gain a solid understanding of the online quoting process. Using a complex, logic-based form, a customer can build out their prototype needs in three steps. They have many ordering choices, from exact parts and placement, to the type of board they want fabricated (down to details such as silkscreen color, thickness, and routing length). 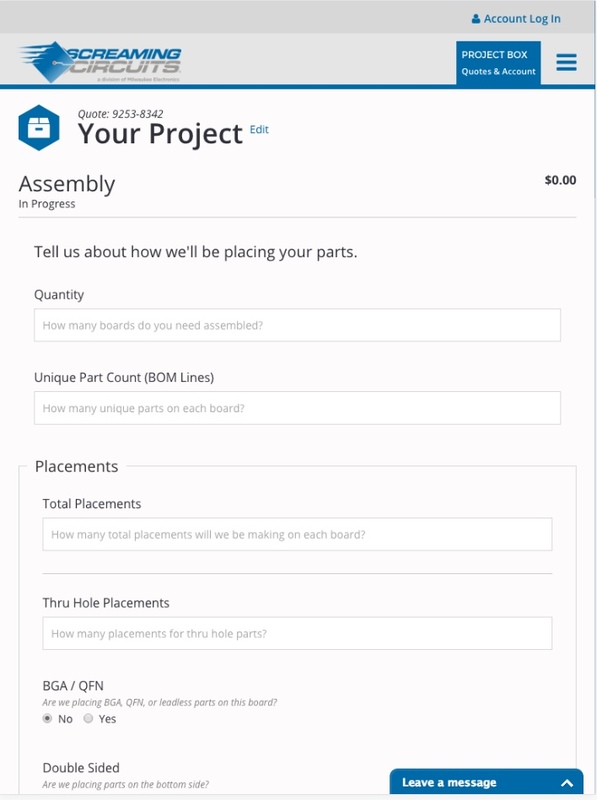 Lastly, they create a set of requirements for assembly. This complexity required close work with the Screaming Circuits team. Our designers collaborated in sketching sessions to test ideas, brainstorm, and challenge every solution. Our front-end and back-end development teams paired with the API team at Screaming Circuits to ensure requirements were met. Because the criteria in the steps of the quoting process were dependent on each other, the customer-facing application needed to continuously check against rules laid out in the API. This would ensure projects were accurately built. 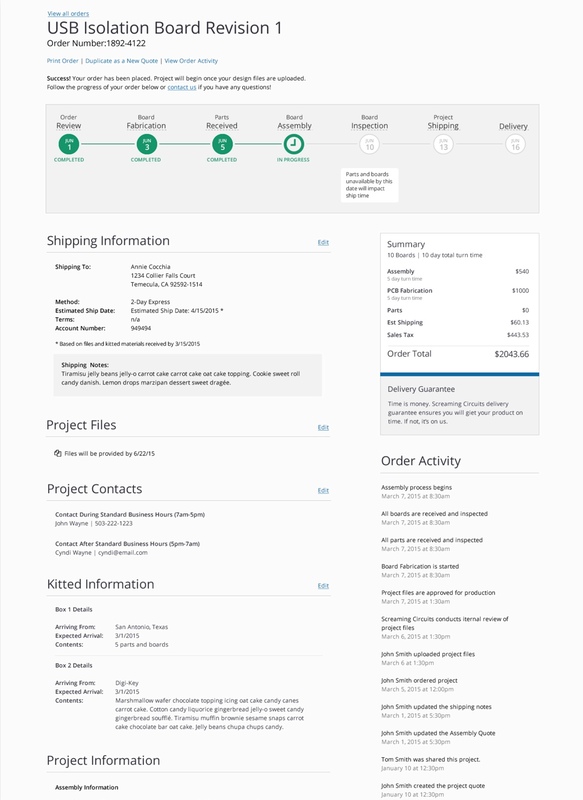 To complete this, the team chose to use Ember.js to create a single page application that allowed customers to go through an entire build, make changes and revisions, and see pricing and turnaround times instantly. Now the application runs smoothly on Ember, and gives the Screaming Circuits team flexibility to continue with their project plans as they work toward the integrated customer channel approach.